Have you ever read the Bible all the way through from Genesis to Revelation? If your answer is no, then you are like many Christians. I challenge you read the Bible all the way through. I grew up in a Christian home and learned most of the stories in the Bible at an early age. My father would always play Bible charades with us and when we did not know the story he would tell it to us. My favorite was the story of Ehud (don’t know look it up). 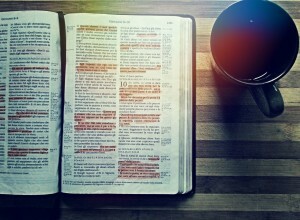 Even though I was a Christian and knew the Bible well, I never read the Bible consistently. I also never read the Bible all the way through. I never really knew and understood the Bible well because I did not know it or God. The Bible is God’s Word revealed to mankind. If you want to know God then you need to know His Word. The challenge is to read the Bible all the way through. My friend Garret Kell, wrote a post on this subject, in this post he encourages Christians to read to meditate and understand rather than completing a check list. Many suggest trying to read the Bible through in a year. But our emphasis should be on knowing God. If your goal is to read to check something off your list then don’t even do it. If your goal is to just pick a few books and never read through the Bible then, don’t do it. Many Christians do not understand their Bible because they do not know the grand story of God. The Bible tells a story of God’s redemption but if you are reading random verses and passages then you will not fully be able to understand this grand story. So I challenge you to read God’s Story all the way through. Here is a past post that can help you make it a habit. The key to making it a habit is to pick a plan. Whether this is a plan that takes 1 year or 2 years, the goal should be to start and complete it. I just finished about 1 month ago and took me almost 2 years to complete. The goal is to know God more. And we do so by meditating on God’s Word. While reading several articles, one being Garrett Kell’s, writers suggest having several accountability partners to accomplish this or other spiritual goals. These can be people in a group text or others that you can meet up with on a consistent basis. You want people who have a similar goal that can help support you in keeping your goal. Do something this year that most Christians don’t do and read your Bible all the way through! So will you take the challenge this year to read the Bible all the way through? If so, comment below and include the Bible reading plan you will use. What is your biggest struggle with reading your Bible or staying consistent? Don’t forget to find yourself accountability partners as I will be doing this year. Can’t wait to hear from you! Here are some further resources that I would recommend! Resources for Reading through the Bible this year – VERY Helpful! Thanks again for the wise words and for sharing parts of your Bible study journey! Thank you so much for linking to my post. Great linkup! Jeremy, this is such an excellent challenge. I like how you combine Scripture reading, with meditation. I’ve read the Bible though a few times and your right, doing this really did give me a better grasp of God’s overall story. Some books–like Leviticus–were difficult to get through, and thoughtful meditation was a challenge. However, I learned that it was OK to push myself, and to keep reading, even when I didn’t understand everything. In the end, I discovered that some of the passages that were confusing, helped me to understand what was being talked about later on. It’s amazing how many references to OT passages, are in the NT. Your post reminds me that I need to get back to being more consistent with my own reading. Thank you for this! I just started reading through Leviticus a few days ago this are a few tough ones to go through. Do you think it would be beneficial to have a short guide to help people navigate through those books? I love reading through the NT and seeing how many OT passages and thoughts are woven throughout it. May God bless your reading this year! Congrats on reading the Bible and sticking to it. Two years is a long time that is determination and commitment. I’ve tried this several times to read all the way through. Never made it. I read consistently but I do miss days from time to time. I think my best performance was making it through half way. I did recently get a chronological Bible. Something I think might help me his time. I’ve tried a few plans and techniques. I love reading it but my curiosity takes me off the path and then I get behind with additional studies and referencing. I decided to take a break and focus on the Psalms this year. Totally get not being able to complete. I was never able to complete the Bible until I was almost 20 years old. Push your way through the tough passages and keep pressing on. It is tough but totally doable. Even if it is only 1 chapter a day and takes you 2 years it is well worth it. May God bless your reading this year!